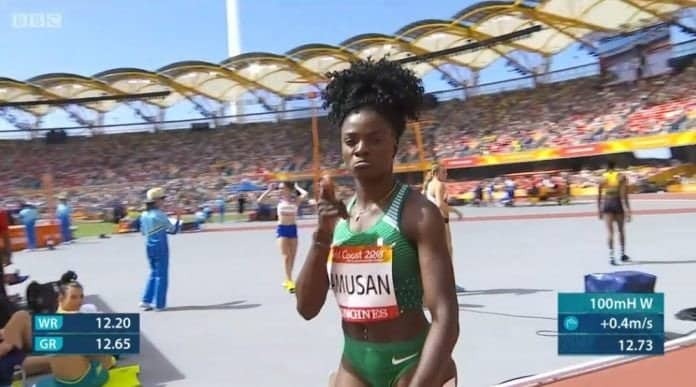 Nigerian sprinter, Oluwatobiloba Amusa, made history as she became the first Nigerian to win a sprint hurdles title at the Commonwealth Games. She broke the record today at the Carrara stadium in Gold Coast, Australia. 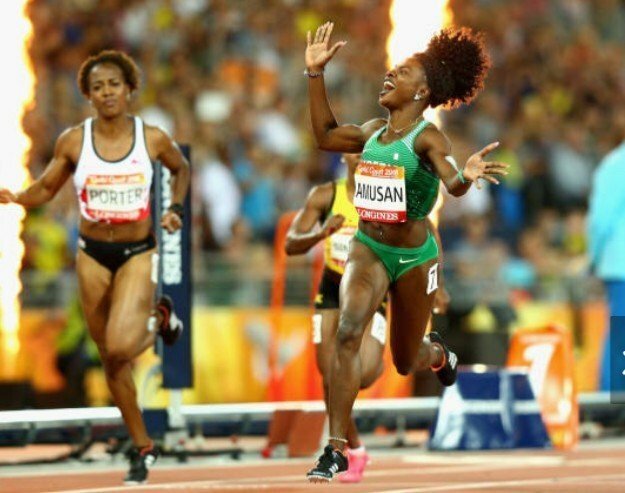 Oluwatobiloba Amusa ran 12.68 seconds to win the race making her Nigeria’s first gold medallist in track and field at the ongoing games. Also 27-year-old Caster Semenya, who identifies as a woman but has elevated testosterone levels, dedicated her gold medal to the late Winnie Mandela after her crushing win. After the race, she revealed how anti-apartheid hero Mandela, who died two weeks ago after a long illness, had helped her through adversity. Semenya left Kenya’s Margaret Nyairera Wambui for dead coming off the final bend to win with plenty to spare as Jamaica’s Natoya Goule took bronze. However, questions persist over whether Semenya should be allowed to compete because of her hyperandrogenism, which some feel gives her an unfair advantage. “I understand how to handle emotions, how to handle negativity and turn it into positivity,” said the world champion. Johnson-Thompson secured the second leg of what she hopes will be a golden treble.